SINDHULI/NUWAKOT, Oct 13: Nine people were killed and 63 others injured in three separate road accidents in Sindhuli and Nuwakot and Dhading districts on Friday. In Sindhuli, a passenger bus heading for Kathmandu from Marin Khola plunged about 500 meters into the Sunkoshi River after colliding with a motorcycle at Ritthebhir of Sunkoshi Rural Municipality-5. One of the passengers died on the spot while two died in course of treatment. Four others were injured. Ravi Bhandari, 29, of Sunkoshi Rural Municipality-8 of Sindhupalchowk died immediately after the bus plunge. Similarly, the driver of the bus Raj Kumar Lama, 28, and his brother Amit Lama, 23, of Marin Rural Municipality-8, died at Dhulikhel Hospital while undergoing treatment, informed Superintendent of DPO Rameshwar Prasad Yadav. Five of the injured are undergoing treatment at the Dhulikhel Hospital. According to police, overcrowding was the reason behind the accident. "The highway is narrow and the flow of vehicles has increased significantly with the onset of the Dashain," said inspector Ashok Kumar Jha of Area Police Office, Khurkot, Sindhuli. On October 11, 2011, forty-one people were killed in a major bus accident at the same place. 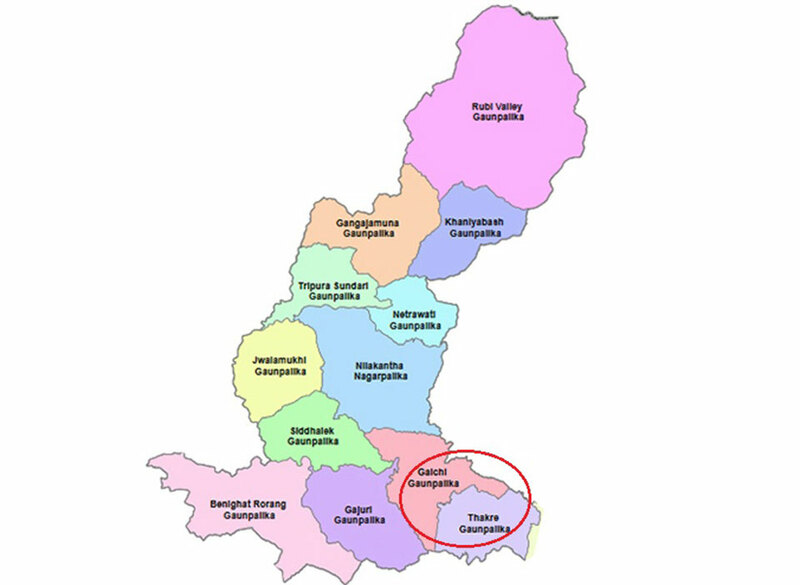 Similarly, in another accident of the day, three people died and 55 were injured when another passenger bus fell into a stream at Ganesthan of Suryagadhi Rural Municipality-5 of Nuwakot. The bus was heading toward Trishuli from Jhagade of Dupcheswar Rural Municipality. The deceased have been identified as Minu Tamang, 28, and Bhagawan Kandel, 59, of Panchakanya Rural Municipality-4 as well as Balaram Tiwari, 56, of Mugling, Chitwan. Tamang and Tiwari died on the spot while Kandel died in the course of treatment at Green City Hospital in Kathmandu, informed Basanta Bahadur Kunwar, the chief of the District Police Office, Nuwakot. Four critically injured passengers were airlifted to Kathmandu while 29 others were brought to Kathmandu by ambulances. Twenty-two injured are undergoing treatment at the District Hospital, Trishuli. A front tire of the bus was still on the road while the bus had plunged 200 meters into a stream.One of the injured, Surya Bahadur Tamang of Panchakanya Rural Municipality, Thapre had left home to purchase electric wires for house wiring. When he hopped in the vehicle, he saw very few passengers and expected that he would reach the market on time. "There were not many people in the bus and the bus was smoothly running, but I had no idea that it would tumble down the road," said Tamang, adding, "After a few tumbles, I looked at myself and found that I had no serious injuries. That made me hopeful that I would survive." In Dhading, three people were killed and three others were injured when a tipper truck skidded off the Prithvi Highway at Thakre and fell some 500 meters on Friday evening. The accident occurred at around 7:30 pm, according to police. The deceased have been identified as Mahesh Tamang, 32, Savitri Tamang, 50, and Som Maya Tamang, 60, all from ward 10 of Thakre Rural Municipality.